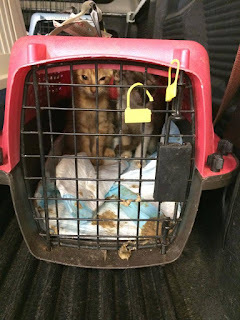 Last night, customs officials at Pearson International Airport turned away 8 eight week old puppies, 2 adult dogs, and 4 kittens who arrived in Toronto from Aruba via American Airlines. The pets were being imported into the country by Kim McDonnell from the organization/Facebook page Save A Puppy, which purports to assist needy animals in Aruba. 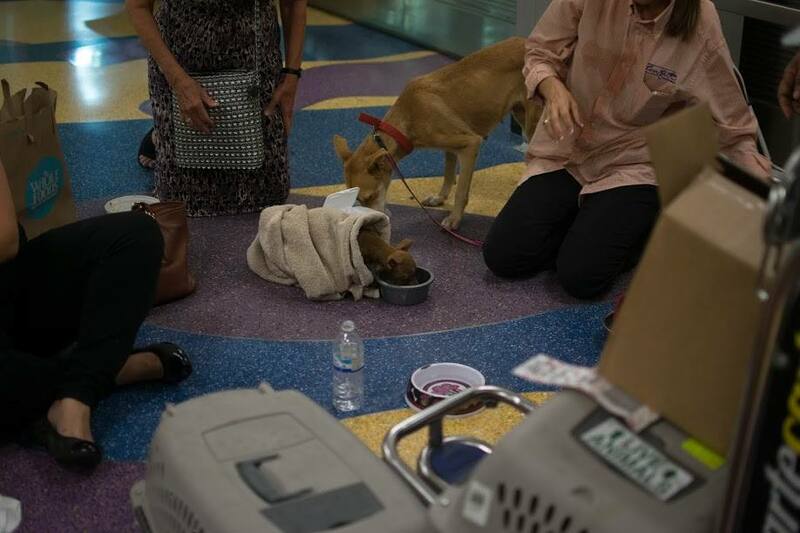 According to Kim Faulkes, who runs the Ottawa rescue Friendly Giants Dog Rescue and has been working alongside veterinarians and Canada customs for some time now, upon arrival at the airport customs officials found the animals were lacking proper paperwork. Laws state that dogs imported into this country for rescue/adoption purposes are considered commercial. CBSA (Canada Border Services Agency) refused entry of the animals, who were then loaded back into cargo on a plane destined for Miami. Faulkes added the dogs and cats arrived in Toronto covered in their own urine and feces. The dogs and cats are now in Miami being tended to by animal rescue volunteers. Their fate is unknown, though thankfully they are all currently receiving much needed veterinary care. Some of the dogs had extremely bloated bellies causing concern they had intestinal parasites, and some showed signs of possible ringworm. "I must say...... Im getting a lot of messages regarding my dogs health in Miami. I hope people understand that i m one person in Aruba. I m not an organization. I pay for these dogs i care for these dogs. This situation has brought me to my knees and made me physically sick. I do what i can for these dogs - and i am completely honest with the families adopting these dogs. My dogs i sent are NOT PERFECT. They nees to be loved cared for treated vetted. The condition these dogs are found in - would bring anyone to tears. 2 of the dogs i sent i found in a taped up box with 6 dead puppies. I had only 2 little surviors. I dont even knowWhat to say. I cant deny that these dogs are not in 100% peefect health. I cant do this alone. At this point i feel ALONE!!!!! Support is what i need. My dogs might have a few fleas and u may find some ticks - their skin needs care they need proper nutrition and vitamens. I cant do this all alone. Do ijust stop because they arent up to people standards - i dont just send sick puppies. I send dogs that are healthy enough to fly. I bathe and treat my dogs for fleas and tixks - i can only do so much. The support is amaZing. The citicism makes me want to stop. Im not doing what im doing for anyone but my dogs. Who deserve more. Part of me just wants to stop sending them. Ive sent amazing dogs. These puppies i sent - needed their families. These puppies need me. Im off to pearson to FIND MY DOGS!!!" According to sources, Save A Puppy has possibly been flagged by CBSA as a result of previous importing (up to 150) dogs into the country. The organization charges a $455 adoption fee per dog, and has raised over $15 000 through various online fundraising websites. Save A Puppy states it does not profit off the dogs in any way. 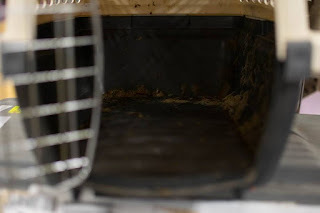 "American Airlines takes the well-being of our four-legged passengers very seriously. On July 12, a passenger traveling from Aruba through Miami to Toronto tried to enter Canada with 14 animals. Canadian officials denied the animals entry. Our team in Toronto took care of the animals and put them on the next flight to Miami. Once in Miami, we contacted Pet Limo Animal Services to provide care and the animals are currently under veterinary care. American Airlines is waiting on the veterinarian to determine the next step." If there's one thing this story shows, it's that while the practice of importing dogs into Canada continues, the CBSA is taking the issue more seriously and is clamping down to ensure those pets who do enter our country from abroad are healthy and pose no risk to pets and people here at home.